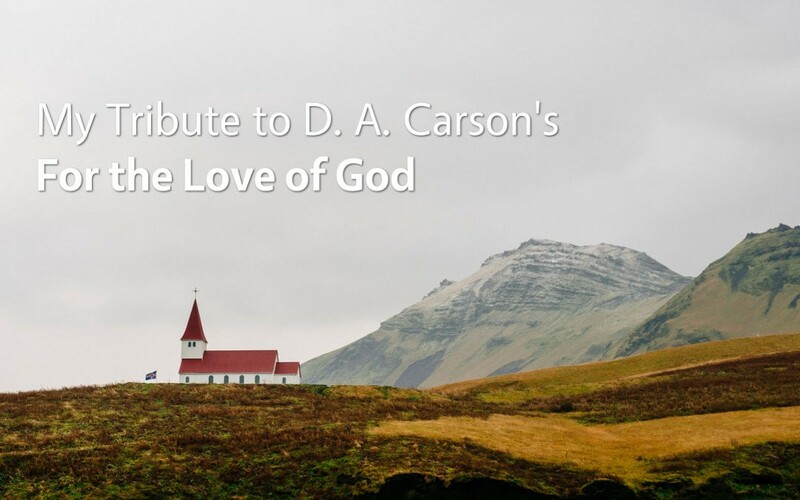 At a youth conference I attended during the summer of 2000, one of the session leaders off-handedly recommended that we pick up D. A. Carson’s devotional guide For the Love of God. At the time, I don’t think I had even heard of D. A. Carson, but that leader told us that it included a plan for reading regularly through the whole Bible. I was intrigued, so I bought the first volume, which I used daily for a couple of years until I purchased the second volume. Then, for the next several years I alternated between the two volumes, and I’m not overstating it to tell you that these devotional guides were probably the most significant books I have ever purchased in my entire life for a couple of reasons. First, Carson had written a devotional that introduced me, day by day, to a robust biblical theology. I was blown away by the connections he made from obscure passages of Scripture all the way to the story of Jesus without force-fitting texts into some kind of bizarre interpretive grid. Quite simply, Don Carson taught me how to read the Bible. Second, and more importantly, Carson introduced me to a Bible reading plan created by the 19th century Scottish minister named Robert Murray M’Cheyne that actually helped me to read the Bible itself systematically. Although the M’Cheyne Bible Reading Plan can be split up, the full version of the plan includes readings from roughly four chapters every day in various parts of the Bible. The two volumes are still available for purchase on Amazon (Volume 1; Volume 2), but the meditations are now published online for free on a blog at the Gospel Coalition website. So, Volume 1 included a devotional addressing either the reading from track #1 or #2, while Volume 2 included a devotional addressing either the reading from track #3 or #4. I always wished that he would write two more volumes to address the passages that he didn’t get to in the first two volumes, but that never happened. 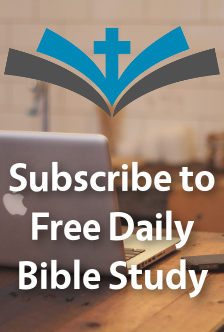 So, in the spirit of what C. S. Lewis suggested for writers to write the books that we want to read, Free Daily Bible Study is an attempt to do what I wish Carson would have done. I’m nowhere near the scholar that Carson is, but the daily devotions that I will be publishing here will take up one track at a time. 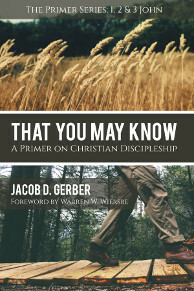 For 2015, I will publish devotions (Lord-willing!) for track #1, covering Genesis through 2 Chronicles. I’m incredibly excited about this project and about the devotions that I have queued up for 2015. If you haven’t signed up yet, please do so now so that you won’t miss a single day!